Right now I am feeling the breathless work of the end of the year. There are tests to be graded, papers to be checked, work to be read, feedback to be given. And I find myself wishing, like I do every year, for a little more time. I want more time to work with my writers to see the glimmers of word play and messing about with academic language develop into steady bright spots. I want more time to see my readers think about texts and share their newly complex ideas. I want more time to see my scientists move between observing tiny details and using information to make generalizations. Every year I take this breathless wish for more time as a negative reflection on me. I should prepare myself more for the end of the year. I should stop trying to cram as much into the last month. I should pace myself better throughout the school year. I should use my time more wisely. And so I race against time. I juggle an end-of-year variety show, plans for a hiking expedition with students, one last science activity, one more piece of student writing. I fill every moment and still have things I want to do. And I want more time even though there is no more time. But this breathlessness helps me to get through what is, actually, a very difficult time—a time in which our little classroom civilization faces its inevitable end. Maybe I can just squeeze in one more thing! I'm fascinated by exploring how readers tie together words on a page and images in their heads. Drawings really help to show a teacher what students are imagining as they read and how they are building mental models. (You can see this Visualizing Assessment for an example.) Sketch-to-stretch is one of my favorite content area reading strategies. In his chapter in the book Literacy in the Arts Gary Woolley writes, "Imagining story ideas during reading links information in working memory and makes the encoding and recall of information more efficient." I've seen this with my students as they read both narrative and expository texts--drawing pictures and attaching new vocabulary to concepts help students to go beyond shallow surface processing. It's interesting to see how this plays out in the real classroom. To get ready for our cavern field trip, we read a text about caverns. 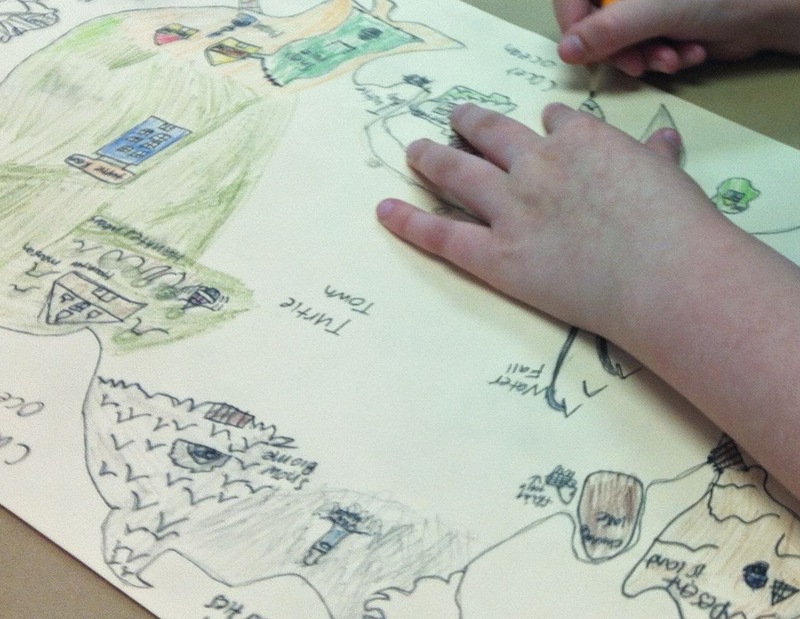 Students first drew what they thought caverns look like. This picture is pretty typical--a few cave features, lots of lovely artwork, but nothing that shows how caverns form or what they might be like inside. Then students read a text about caverns. Interestingly, they did not spontaneously go back to their original drawings to add more. It took a great deal of prompting on my part to encourage the groups of students to go back to their pictures: "Do you know the names of some of the cavern features now? What could you add to your cavern picture?" 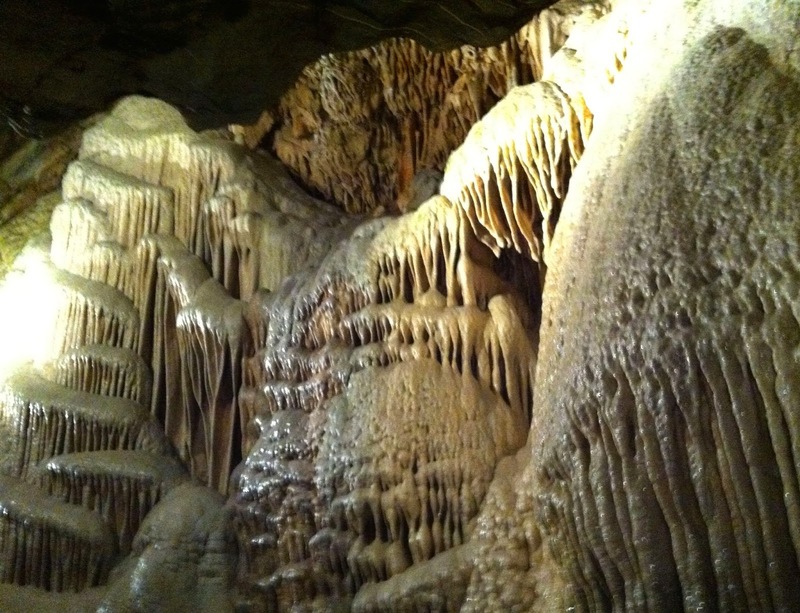 On Monday, we went on our field trip to the cavern. I felt the power of the preparation when students gasped as they went in: "Oh, Mrs. Kissner! It's beautiful!" The words that had been lacking after the reading selection were being used now, even before they were introduced by the tour guide. "Is that flowstone? I think it is." "Mrs. Kissner, where is the limestone?" "I feel the water! I'm going to grow rocks on me!" "Oh, which are the ones that grow down? Stalac somethings." It was a really neat experience and really enhanced by the students' interest. When we returned to school on Wednesday, then, I wanted to take the time to process what we had done. "Let's go back to our cavern drawings," I started to say. But then something changed. Maybe it's seeing all the awesome projects in my Twitter feed, maybe it's my experience with STEM club--I changed the task from "Let's draw a cavern" to "Let's find a way to create a cavern." Kids started to collaborate, forming loose groups. Some students did created drawings, but they were rich, multi-layered affairs, with keys to symbols and labels. Other students turned to paper engineering. How could you make a cavern out of construction paper? It became quite the engineering challenge as students experimented with rulers and cardboard to create three-dimensional scenes. Luckily I had a parent volunteer in for the morning, so she helped as I pulled out more materials (aluminum foil! wax paper! rubber bands! Playmobil people!) and engaged students in conversation about what they were doing. The second cave experienced a real-life sinkhole, as the house caused the whole thing to sink in at first. "Mrs. Kissner! It fell apart!" This was a great connection to sinkholes, which I was going to teach about anyway, so it was a very productive setback. I pulled everyone together for a few minutes after music class to talk about the sinkhole and show some videos of how they look in the real world. On the other side of the room, I was worried about one group that had a cup of water. Then they explained: "The cave that we went to had a room that was carved by water and an underground lake, so we're putting an underground river in ours." It was interesting to see how they dealt with the task of creating a cave in three dimensions, and how this task allowed them to explore the concept in new ways. Their creations were different from the typical "class project" in that their products were not uniformly beautiful, but all showed some learning. -What details about this task will stick with kids in 3 weeks, 3 months, 3 years? What big ideas will they remember about caverns? 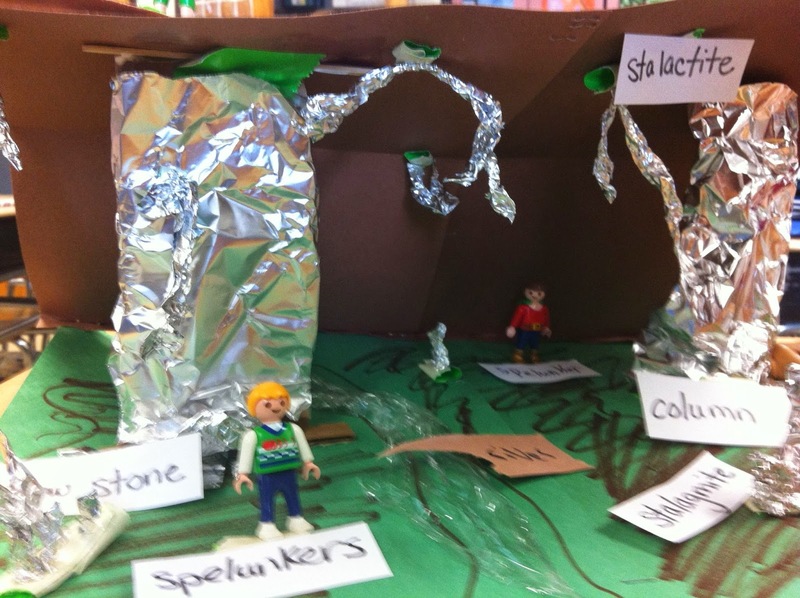 -What STEM concepts did they learn while working on their caverns? -How did the real life experience and the reading interact? -Luckily, I had started packing away some books for the end of the year, and so I had some empty shelf space for temporary cave display. But what will I need to do next year to make room for these kinds of projects? 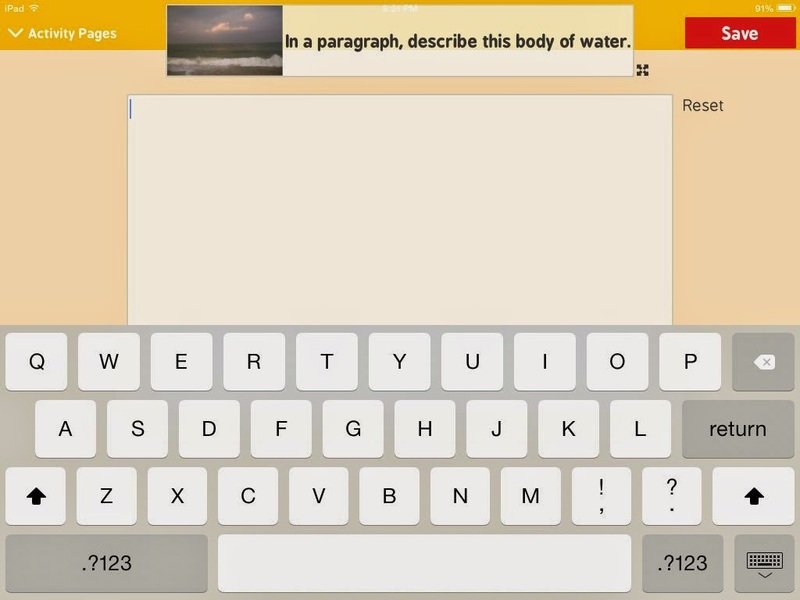 Frolyc and Activity Spot are great for open-ended responses. You can read more about it at the Frolyc blog. At the end of the year, fourth graders are confident writers who long for independence. They no longer come up to brainstorm every sentence with the teacher--instead, they want to sit down and get to work on a piece of writing. My goal as a writing teacher early in the year is to provide as much support as possible in the early stages of writing. By May, I have pulled back on the level of support. However, clear directions are essential to successful peer response. Last week, students worked with partners to revise their persuasive letters to third graders. I used a peer response frame that follows the pattern we've used all year. The best part of May, however, is that students will check off "No" and have conversations with their partners. Several students discussed their conclusions: Are two sentences enough? They tried to bring the question to me to referee, but I sent it right back to them. What do you think? What is the job of a conclusion? How should a conclusion fit in with the rest of the piece? Students have finally learned where to find all of the materials and move around the room to gather what they need. (We're running out of sticky notes and pencils, though!) They don't mind when I assign them partners and work readily with everyone. And I watched this unfold last week with a bittersweet satisfaction. This little civilization that we've created together is coming to an end. Just as it comes into full flower, the last days of the school year loom over us like a shadow. Oh, well. These final writing pieces, the artifacts of our classroom, are going to next year's students--a little piece of the civilization handed from one group to another. The Common Core expectations are high for student writing. Students in third, fourth, and fifth grades are expected to write formal informational and persuasive pieces, using introduction and conclusion paragraphs. As a teacher, I appreciate the need to help students write longer and more complex pieces...but I also want to help them expand their creativity! To teach some of the basics of formal essays, I love to use the genre of expository fiction. Expository fiction is text written using expository text structures, but with fictional details. Your students are probably reading these books without even realizing it! Star Wars: Epic Battles is one common example--this book explains the epic battles from the Star Wars universe in an informational way. Fictional battles, expository structure. Many of the Pokemon handbooks are the same way, as are books like The Care and Feeding of Sprites. Expository fiction is fun. The details are interesting and imaginary, but the structure is real-world and businesslike. What better way to introduce the conventions of academic writing? I first started doing this project years and years ago, and I've refined it over time. The basics are simple: Students create their own imaginary country, and then write an essay to describe it. But this simple description can't capture what really happens during the experience. 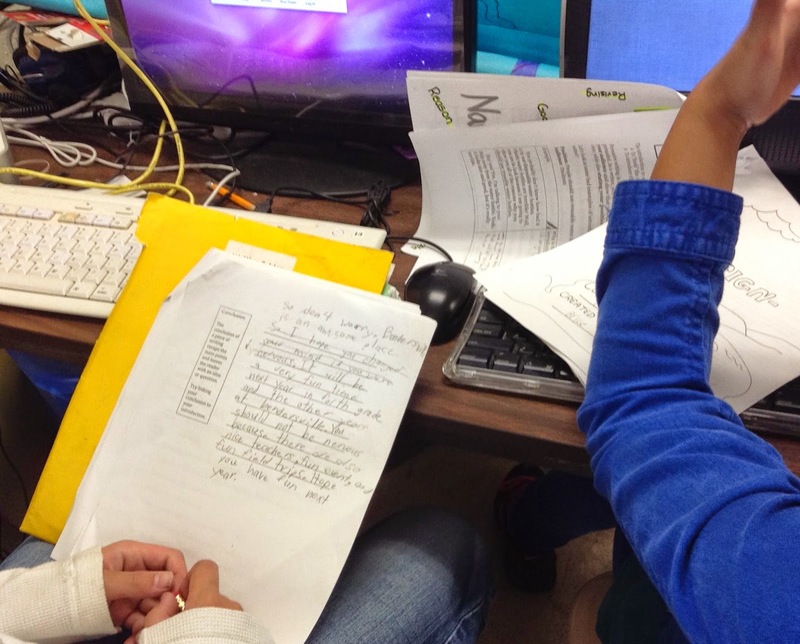 Students go deeper with their details, collaborating with each other to dream up new ideas. Students try out different genres, writing narratives to tell stories about their lands and travel brochures to invite tourists. Students learn new vocabulary words as they describe the features of their lands and how they came to be. It is the perfect extension of early childhood play into middle childhood academics. 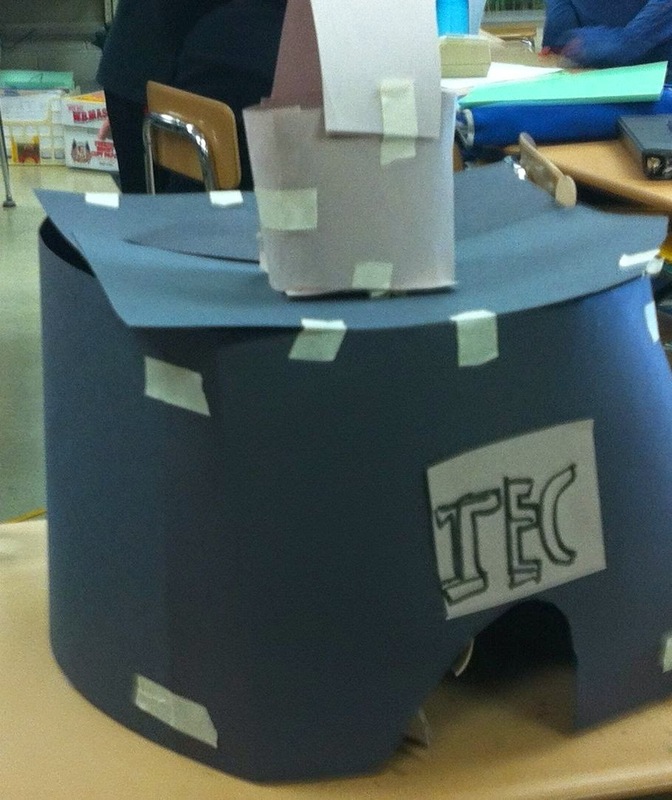 Even better, this project also helped to integrate some important skills and concepts into language arts. Middle level writers are still struggling with capitalization of place names (for example, Chocolate river is a common transcription) and this project lends itself to repeated practice with this skill. Students write the place name on their maps, on their outlines, and in their rough drafts...I remind them to capitalize both words over and over and they get instant feedback. 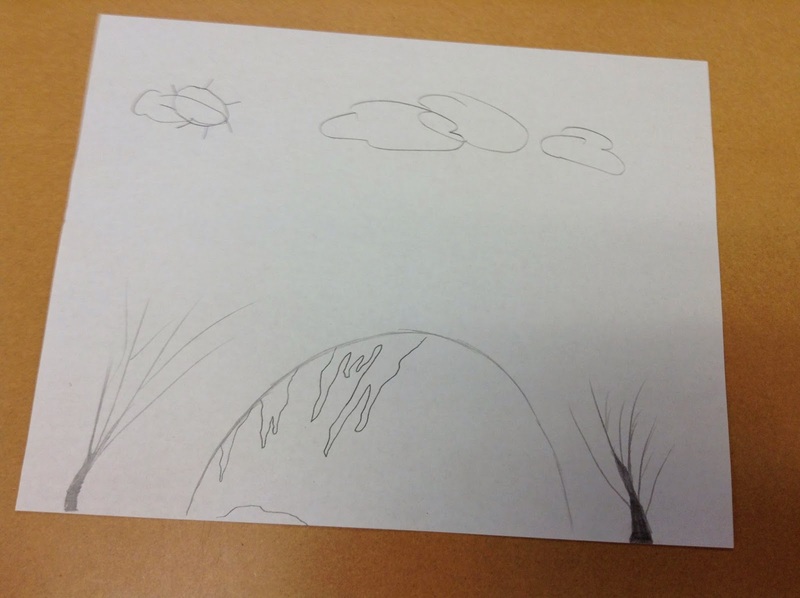 This also helped students to become more interested in landforms. During the mapmaking process I walked around with copies of United States maps to demonstrate landforms. "What is a bay, really?" was a common question, and I showed bays on the map. I also spotted a major misconception about rivers--students thought that they went from ocean to ocean--and we were able to look at some maps and talk about how rivers flow. This activity from Project WILD (you can find one version of the lesson plans here, although there are many others if you search) is another fun project for expository fiction. Students create their own fish by combining characteristics. Different characteristics are best suited for different habitats and habits, and students then dream up more details to describe their fish. When I did this project several years ago, students pretended that they were biologists who had discovered a new species of fish and wanted to share their discovery with the world. Throughout the entire process, my lessons focused on aspects of expository writing, such as topic sentences, transitions, and introductions. Because students had a deep understanding of their topic (it was their own creation! ), they had more processing power to focus on these aspects of writing. Of course, they were motivated to write a strong piece of writing. I told them, "You are the only expert on your land! If you don't write about this, no one will ever know these details." Expository fiction is a wonderful way to engage young writers in formal writing. They can experiment with the forms and conventions of this kind of writing in a fun and engaging way. Design-A-Land: Introducing Formal Essay Writing with Creativity is available from TeachersPayTeachers. It includes lesson plans, troubleshooting guides, and handouts to help students write strong essays. Now that we are well into the month of May, students are working on persuasive writing. My fourth graders are writing to third graders who are coming to our school next year. It's a great focus for us as students have an authentic audience and a real reason to write. I don't assign this as a standard worksheet--instead, it is the student text for our lesson. Having everything written down in one place is necessary for me, as students are often in and out for various reasons. 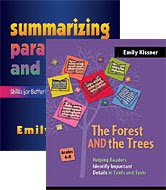 A shared student text with all of the key vocabulary means that I can easily ask an instructional assistant or another student to highlight the key points from the lesson with anyone who has been absent. After students learned about the parts of an introduction, they started to write their own. We are writing letters to incoming fourth graders right now to persuade them that they will enjoy our school. (Kids are very excited to write for this audience about this timely topic!) Some students jumped right into the introduction, describing our playground, lunch, or intramurals in detail. Others had more difficulty. I turned these struggles into our closure for the session. Students love bringing their writing up to the document camera to display to everyone. Today I asked, "Let's hear from those of you who struggled a bit as you worked." I wasn't sure how many students would want to share their struggles, but about 10 raised their hands. One student said, "I had trouble with the concession bit, because I couldn't imagine what a tiny person would think." (Ah, looking back on the end of third grade with the lofty maturity of a fourth grader!) After students shared, they could call on other students to share comments or questions. A girl said, "I had trouble with the concession part too." Another student volunteered to share his difficulty with writing a position statement, and another stood up to share her efforts to write an interesting hook. "I finally wrote something down, it's basic, but I think it will work," she said after she read her piece aloud. It was a lovely writing session and a pleasant debriefing time, the kind of moment that exemplifies end-of-year fourth grade. And it was a little bittersweet for me because I know that our little classroom community is coming to an end...only 20 more days to have conversations like this. -The entire persuasive writing unit can be found here.